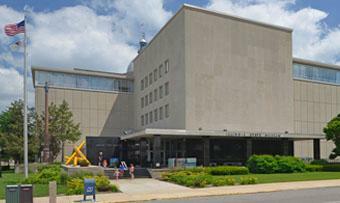 The Illinois State Museum inspires discovery and caring about Illinois’ cultural and natural resources and heritage. The Museum’s extensive collections and research activities provide the foundation for exhibitions and public programs that tell the story of the land, life, people, and art of Illinois. Permanent and changing exhibits on Illinois’s land, life, people and art. Hands on children’s discovery room. The museum store contains high quality crafts created by Illinois artisans.